∗ Orders must be received and paid for by 1 pm for delivery the following day. 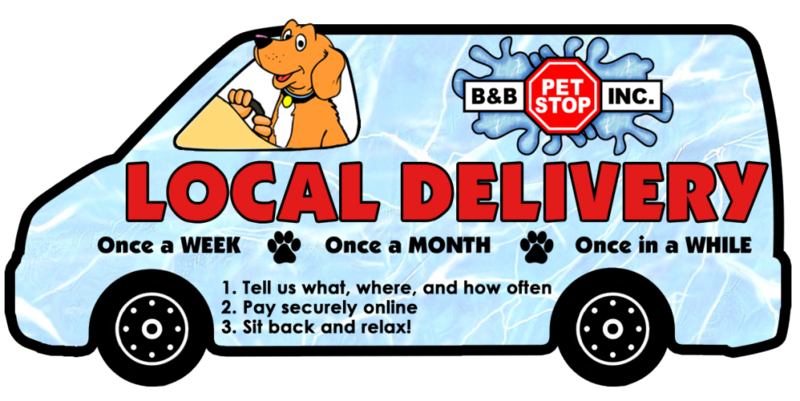 ∗ Must be a B&B Pet Stop Rewards Club Member to participate. Join today – it’s free! Come to the store, call us (251-661-3474), or complete the form below. We’ll send an invoice a few days before your delivery. Want to add/remove items? Let us know, and we’ll send a revised invoice. When you’re happy, click “pay invoice” to make a payment. We’ll be in the area on those days to maintain tanks through our Professional Aquarium Maintenance Service. When would you like us to make the delivery? Where should we leave the delivery? Captcha - Please enter the characters into the field below.